← Bountiful Baskets — Is it worth it? It happens: You bring your sweet little bundle of joy home, in the cute outfit that still has the new creases in it. Then the blowout occurs. And your child’s clothes will never be the same again. It’s not just the stains. Your little one will triple in size in the first year. Didn’t know you would be raising a baby Hulk, did you? And your little one keeps growing, and growing, and growing, and. . . Along with sagging couches and mismatched dishware, you can find mountains and mountains of gently used kids’ clothing at garage and yard sales. You can even find name brand clothes for cheap. During the summer months, I’ll stop at yard sales and spend a few minutes browsing the piles for an outfit or two. I’ve gotten shirts for as low as 25 and 50 cents and jeans for one or two dollars. Remember, you can always pick up items that are too big and store for another season. Stores start marking down clothing in the middle of a season to make room for the new arrivals. This makes January and July great times to search through the clearance racks for clothes at a deep discount. The best deals are for the very seasonal clothes, like winter gloves and swimsuits. Just the other day, I found knit gloves 2 for 50 cents and knit hats for a dollar. The nice thing about clearance clothes is that your kids can wear them during the same season for a few months. You can also buy a size larger and store the clothes for next year. When I was a kid, thrift stores were where Grandma’s clothes went to die. You only shopped there if you needed a polyester jumpsuit for Halloween. Now there are tons of gently used clothes to sort through. Problem is, the markup on thrift store clothing is higher than I’d like. That’s why I listed this option behind garage sales and clearance racks. Usually the prices are the same as new clothes marked down for discount. However, the thrift store I frequent has certain discount days during the week. I’ll look for A few times a year the store have 50% off the entire store. That’s when I stock up. When my kids outgrow their clothes, I pass them along to friends that have younger kids than mine. My friends do the same with their older kids’ clothes. We pass along what we can’t use and keep what we can. I find that kids hate hand-me-downs only when they don’t have a voice in what we keep or not. If an outfit doesn’t appeal to them, I donate it. Clothes that are too worn get re-purposed to something else. My nieces LOVE the outfits my fashionista passes down, and since my guy has grown 10 inches (!) this last year, it’s been nice to swap his too short pants with pairs I’ve had waiting for him. You can also widen your circle of people to swap outfits with. 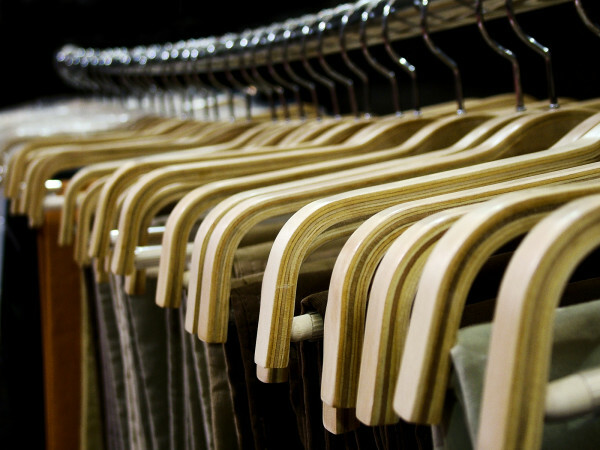 It takes a little more work, but you can arrange a formal clothing swap with a church group, school PTSA, or neighborhood. All you need is an area with tables, some flyers to advertise the event, and a date. Every one brings clothes that they want to get rid of. At the end of the night, bag up any leftovers, and take them to the thrift store to donate. Win for everyone! 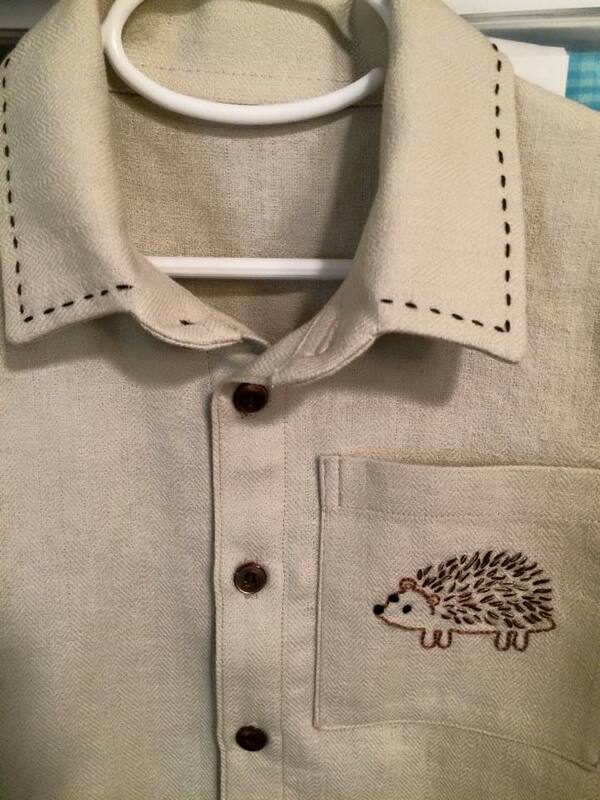 Isn’t that the most adorable little hedgehog? I just love the running stitch on the collar. Even though I don’t sew, I’ll often peek in at the blog Running With Scissors with serious sewing envy. You should check it out for inspiration. 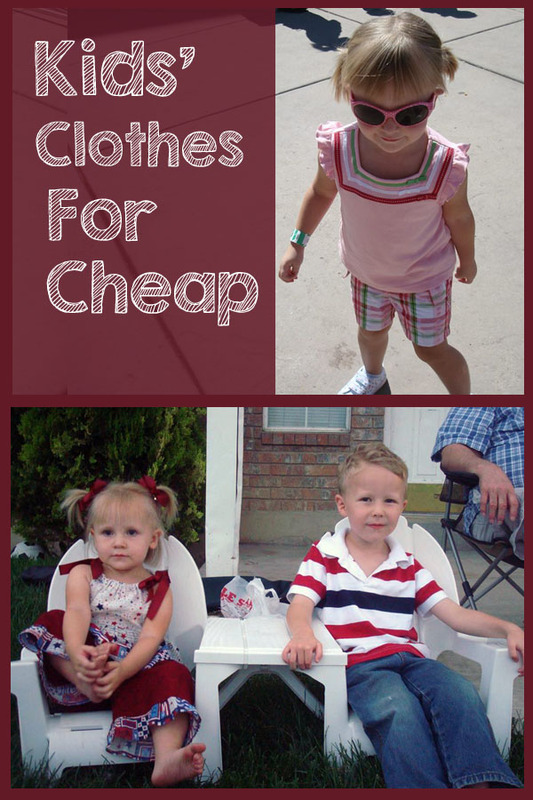 Treat kids’ clothes as disposable; when you use these 7 solutions for getting kids’ clothes for cheap, you can save hundreds of dollars as well as your sanity! What are your favorite ways to save on kids’ clothes? Next week, I’ll tackle the even harder challenge of dressing teens for cheap. Great list! Although I don’t sew and will never sew. 🙂 Thanks for sharing at Works for Me Wednesday!! I really don’t sew either, but if ya got the talent, I say use it!